Your liver is a powerhouse of activity. Have you been treating it well? Image credit: Kate Towell's blog. What I noticed is that no matter the topic—a healthy liver plays a huge role in proper balance of your entire body. 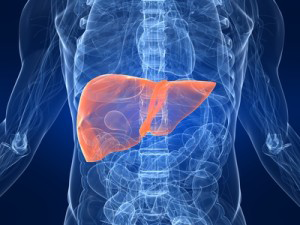 Your liver is a powerhouse of activity. It’s the biggest internal organ in your body and has hundreds of functions. One key role is acting as the body’s janitor, sweeping up all toxins and foreign substances from the bloodstream, breaking them down, and eliminating them. Some of the toxic substances that your liver has to contend with are produced right within your body! But mostly the toxins come from what you eat, what you breathe, what you drink, what you put on your skin and even what you think. That’s right some thoughts are toxic. Your liver is one of the hardest working organs in your body. Give it some love and extra attention. Say “thank you” to your liver for all that it does for you by eating organic foods; switching to natural house cleaners; taking a break from alcohol, caffeine and sugar; get proper rest; enjoy some dandelion tea and drink plenty of water. For more about liver cleansing check out my personalized cleanse options. I have 2 spots left in my Fall cleanse special and am hosting a cleanse workshop at Laughing Buddha yoga studio this weekend. Wishing you fantastic liver health!